Having found my online shop while planning her wedding, Ghazal and I communicated off and on for a few months regarding which earrings she would get for her wedding in Tulum, Mexico. She ended up ordering two pairs. This one and also this one, not being sure exactly which she would want for that special day. We also had much conversation over how best to send them from the US to Canada. When they arrived, I got this lovely note from her . . .
“I’ve received them! They look just great, thanks! I love the earrings I ordered first. My fiance likes the 2nd look. I guess I’ll have to see what they look like on the day. I will definitly send you a photo.” You can see which pair she wore at the bottom of this post. Then Ghazal added, “Was just wondering, is there any way you could make a bracelet that would match?” Well, that got my design juices going that very night. By the next day, after several iterations, this is what emerged. 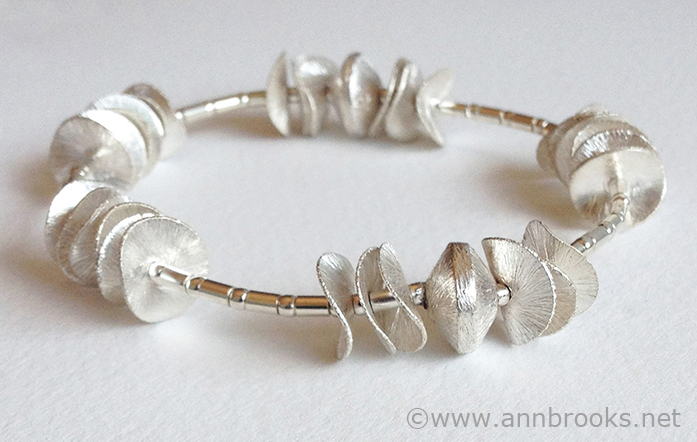 And you can see it and another view here in my online shop. 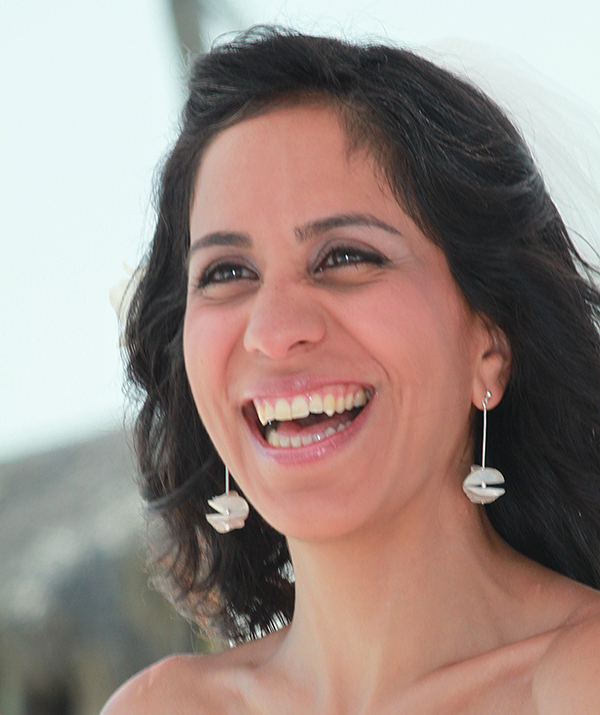 And here is Ghazal, radiant on her wedding day in Tulum, Mexico!